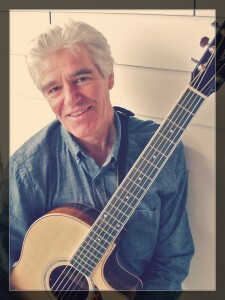 Strongly influenced by the guitar and song writing styles of Bruce Cockburn and Paul Simon, Charlie performed fulltime for several years, including 1980-85, after moving to Victoria via Alberta from Ontario, where a highlight was performing solo at the Astrolabe outdoor theatre overlooking the Ottawa River. His first recording effort was “Take My Picks”, an album consisting of five originals and seven covers. 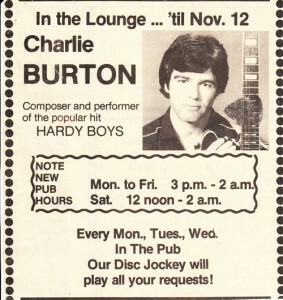 Paul Bennett, the Times-Colonist music reviewer at the time (1983), awarded three stars to the album, with particular compliments to the tongue-in-cheek local originals, “The Hardy Boys” (which received local airplay) and “Tale of Tahsis”. 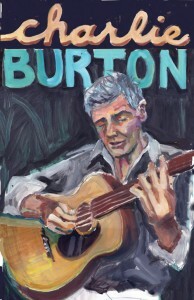 The album was retitled “Something Old” as a CD in October 2009, with new artwork by daughter Mariah, a professional illustrator, to reflect a retro theme. All tracks were kept exactly as originally recorded, with only the order changed. While music eventually gave way to more conventional employment and raising a family, it continued to surface at irregular intervals. In 2007, a series of impromptu recording sessions with fellow UVic employee, Colin Newell, resulted in an 11-song CD entitled, “Island Standard Time”, the artists disguised as “Two Old Goats”. The opening track, “E & N Rail Blues”, which relates the history of the local railway, is one of several Island-related tunes. Most of the material – all original – consists of songs written and sung by Charlie, accompanied by his Martin D-76 acoustic, while Colin contributed the others, as well as bass and electric guitar tracks on several songs, and, most significantly, the technical recording expertise. The album was featured on CBC Radio’s “North by Northwest” in December 2007, resulting in a flurry of online sales, but the Goats’ decision to resist the romantic allure of taking the herd on the road kept their profile and egos in check. On September 30, 2011, Charlie retired early from conventional employment in order to pursue performing again until his voice or body gives out. Since then he has gradually increased his repertoire and the number and variety of venues. In July 2013 he and middle daughter, Amy, did a 4-stop mini-tour in the interior, including the Revelstoke Street Festival, where they were invited back each year through 2017. In early November 2013 Charlie returned from a 6-week 21-venue trip through southern BC, western Alberta, and back home from Dawson Creek through Kamloops. Every date was successful enough to earn a return invitation, but soon more local opportunities opened up. 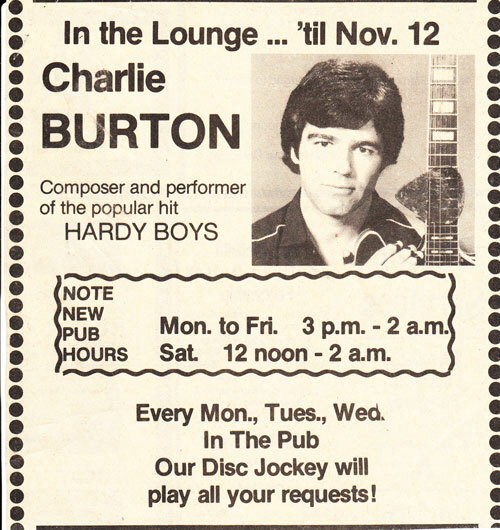 Primarily a solo guy, Charlie spent several years playing music occasionally with whichever of his three daughters were available. 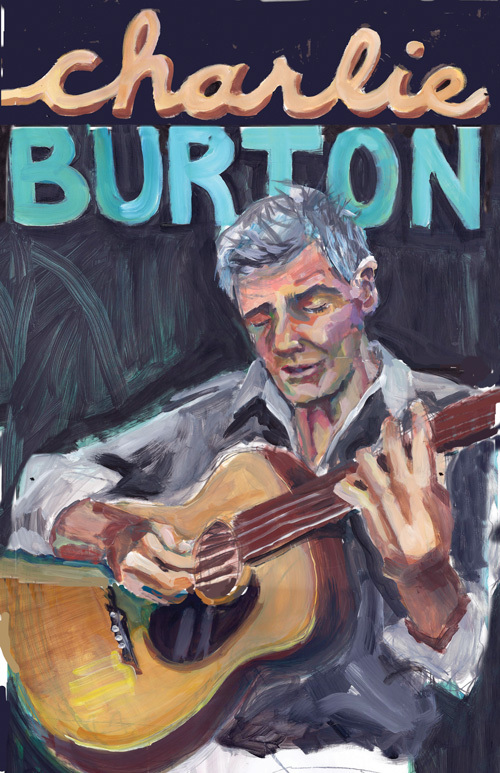 Before their careers and family aspirations took over, the four combined with recording engineer and guitar legend, Norm MacPherson, to record “Beats of Burton”, completed in 2016. The album consists of three each of Mariah’s and Charlie’s original songs, and six of their favorite covers. This was probably their last formal musical collaboration, but they are all delighted with the result. Contributions on lead guitar, bass, acoustic guitar, and keyboards from Norm, mandolin from Dave Wilkie, and keys from Niels Petersen, all seasoned musicians now living in Victoria, combined with Norm’s countless hours striving for perfection in the studio, to make this project extremely rewarding for all involved. Meanwhile, Charlie has built a base of over twenty-five local seniors facilities that he visits regularly for one hour music shows, concentrating mainly on 30s to 60s standards. He also performs more diverse set lists in pubs, restaurants, markets, lounges, and other venues year round. He appreciates being able to indulge in his favorite hobby/pastime indefinitely.